This topic contains 15 replies, has 11 voices, and was last updated by Jimmy Dugan 1 week, 4 days ago. How many hours did you study compared to CPA? Hi, Helen. I’m also considering either the CMA or Law School. I want to see what the responses are like. I just want to say BAE BAE to Becker! I used Gleim and felt that the material was both comprehensive and straightforward (without much filler). 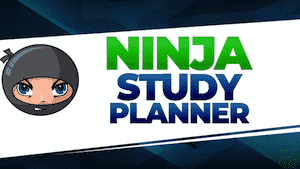 In terms of studying hours, I did not keep track of them (nor did it with the cpa exam), but if I were to compare my studying time with the cpa exam vs. the cma exam in terms of percentage, I would say the cma exam took more or less like 80% of the studying time (ballpark figure). Overall, I felt it was considerably easier, but I almost ran out of time the two times I sat for the exam. The MCQs that require calculations can be very time-consuming. I used CPE University for part 1 (gave me CPE credit for CPA) and Gliem for part 2. I also probably spent 70-80% of study time compared to the CPA exam. I don't know if that's because it was easier or that my familiarity with the material since I've spent my career in management accounting/corporate finance (instead of audit or tax). I felt that the CMA exam had more computations though. We want to avoid any criticism of the way we administer this liberal gift. For we are taking pains to do what is right, not only in the eyes of the Lord but also in the eyes of man. I used GLEIM for CMA and CPA and passed all 6 tests on the first attempt. As mentioned above, the material is comprehensive and straight forward. 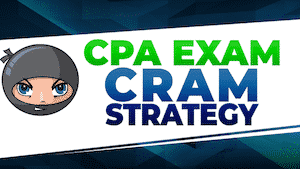 I found that an individual CMA exam is more difficult than an individual CPA exam, but since CPA has 4 exams the CPA process is more strenuous as a whole. 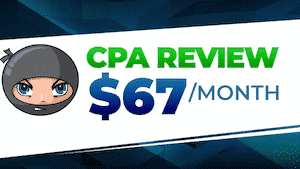 The calculations can be significantly more in depth and time consuming than anything I saw on any of the CPA exams. 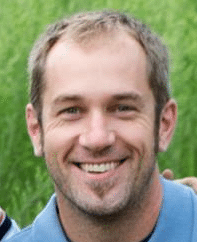 Hock International – hands down the best in my opinion. I wasn't able to finish studying for the exams because I had a job/career change, but while I was hitting the books, Hock had it down path. @Jcornelio116 CPE University was fine. It was in a video format and you could interact with the instructor. The area it lacked was the amount of practice questions available compared to Gleim. It did not matter to me as much on part 1 because I had more experience with the material compared to part 2. I passed Part 1 with a 360 using Gleim, but I still had a lot of concepts that were still fresh in my head from FAR. I used Gleim for Part 2 but I failed with a 350. I am supplementing Gleim with the Hock Lectures to help me understand the material a little better. Gleim's Part 2 lectures/materials are not that detailed. @anthony.barry43 I read a chapter then do a bunch of MCQs and move on. Trying to limit it to 40-60 MCQs. No lectures (waste of time). Once done do 1k-1.5k MCQ. There are a bunch of long MCQs that are good substitutes for the SIM/Essay portion. 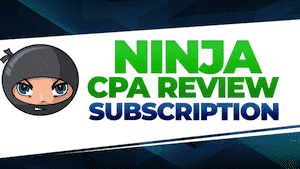 It's a good idea to practice some of the essays with calculations, since unlike the CPA exam you will be asked to show your work and/or explain what you did. You should be comfortable doing that. Generally though, MCQs are by far and away the most efficient use of your time. For each test I also created a formula sheet that I wrote out repeatedly until memorized and wrote it on my scratch book as soon as the exam started. Still chipping away. I took Pt. 1 with Hock Q1 this year and didn't pass. I did buy Gleim and I like it much better, but still probably won't take it until Q1. I have been too busy with other things to focus on the CMA, but I need to take it since I paid for the materials and paid all of the IMA fees. F: 52, 54, 72, 71, 77! @AF thanks so much for the advice. It is extremely helpful. By doing1k-1.k MCQs do you mean doing 1,000 to 1,500 MCQs from the Gleim test bank? Just found out that I passed part 1 with a 380! So glad that I don't have to take that one again! For anyone that's passed CMA, did it add to the body of knowledge you picked up with the CPA exam? I have looked into it some and there is significant overlap in most of what I've read. My employer will pay for prep and I'm just wondering how worthwhile it is for someone who has already passed the CPA exams.